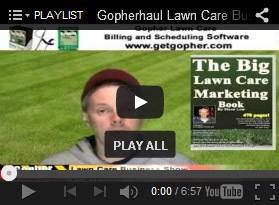 « Choosing the right lawn care business logo. Franchises were created to allow the want to be business owner with a way to maximize their chances of success by selling a proven, winning, money making infrastructure. Sure you normally have to buy into them, but the value you get out of your money invested should be well worth. It should allow you to hit the ground running with your new franchise. 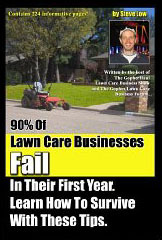 But what happens when things don’t work out that way for a lawn care franchise? 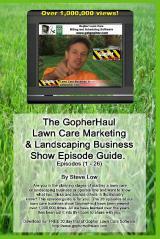 That is what this story from the Gopher Lawn Care Business Forum is all about. 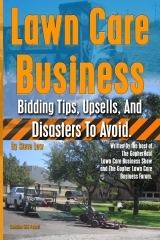 One lawn care business owner wrote “I purchased a lawn care franchise a few years ago and things went wrong from the start and the business failed. After a prolonged legal battle I am now free of the restrictions imposed on me by the franchise owner and am now starting out out on my own. 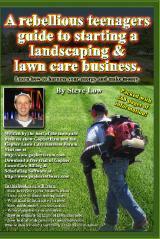 Initially I met with five different lawn care franchises before making a decision on which company to take a more serious look at. The first major meeting I attended took place with the owner quite a distance from my home. It was at this meeting that the franchise was outlined very vaguely and some what turned out to be unachievable promises made. I was in a dead end job and the guy had me hooked. 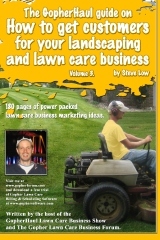 A lawn care franchise disaster. After a few emails and phone calls and another meeting I signed up to what I thought was a wonderful company. I must admit that a few alarm bells were going off in one of our early meetings about some of the work I would be able to perform in the winter but chose to ignore them. I next traveled to the corporate office for a 5 day training course with 4 other people. 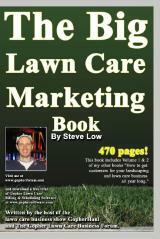 Two of which knew nothing about lawn care but were given 2 books and told they would pick it up in a week. Again this should have told me all I needed to know about the company. After two days of them telling us how great working with them was and sweetening the deal by disregarding the franchise fee, they then told us the cost of the van lease we had to use had gone up as well as had the lawn care software license we needed to pay. Even with all that, I was still raring to go. The increase in revenue we had to pay them was another warning sign wasn’t it? The rest of the week was all about learning how to use the software so these new guys to the industry had two days of training. They sent us on our way and I sat waiting at home for my new uniform and the rest of the kit. There was another expense to come with that I was not told about. 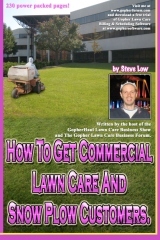 There was a lawn care marketing bulk mailing made in my name to the area by the corporation, but I had to to pay for this on top of the fees and arrange for the mailings to get to the post office. Still I was blind to what was going on. When the kit arrived, the leaflets went out, I got my new phone number and got my first customer. 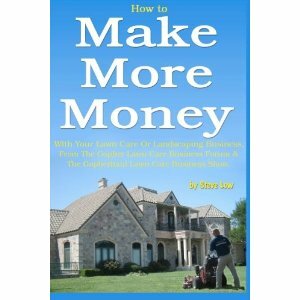 I started my business and things began to move but not very quickly. The head office called me and said I should be getting more work. ‘How?’ I replied, ‘go and knock on peoples doors’ I was told. I am not a door to door salesman, never have been, never will be. I am a confident guy but having the door slammed in your face umpteen times a day is not for me. This finally got me wondering about things a little but I kept on. All of this was going on right in the middle of the summer but I had very little work. What happened next made my mind up for me. Here we were quickly coming to the end of the summer, the franchise head office was not happy with my customer numbers and the sales associated with those customers. 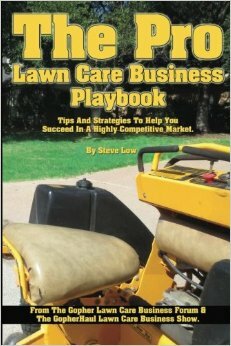 At one of the meetings before I bought the franchise the owner met with me and lambasted every other lawn care company out there. One of these companies were guaranteeing start up businesses a minimum of 40 customers when they joined up. I believed his words were ‘I’ll **** all over them, if I can’t give you 100 customers with my marketing I may as well as give up now.’ Well his marketing involved over 100,000 glossy brochures delivered to specifically targeted households and guess what, I got just over 40 customers. Another warning signal. So the head office sent someone down to help me out. We meet up and I finally start to realize the $38,000 I have paid is all but lost with these bunch of clowns. The guy tells me his motivational speech, ‘you currently run the worst performing franchise in the company.’ It really made me feel good I can tell you but by then I had made my mind up to leave. So that was a few years ago now and after much legal wrangling I am free of them. They have someone covering my old area and I really do feel sorry for the guy because I doubt anything has changed. I am now starting back up and already have a small loyal group of customers but am always open to suggestions how to increase my numbers. I will never go back to the franchise methods. I was hoping they would have a structure set up to get me rolling but they seemed to not know anymore than I did. Looking back I made so many mistakes which is only natural for someone so inexperienced in business, but these were compounded by a lack of support from the franchise owners. I am not perfect and hold my hand up to that. One of the major problems I had was cash flow. You do the work and for whatever reason you don’t get paid right away. If you are in a franchise you have to pay the royalties due every month whether you are paid or not so that can drain your finances rather quickly. You have to order your products from the franchise so whatever they charge you have to pay even if you can get it cheaper elsewhere and the franchise I was with was based some distance away from me so there were always delivery charges added to the bill. To make matters worse, there is a supplier who I now deal with based 2 miles down the road so no more delivery charges. But at the time I was prevented by the franchise agreement I had signed from using them. 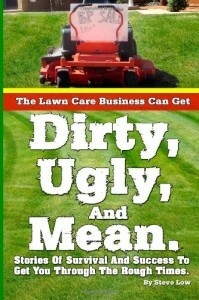 Perhaps I just picked an awful lawn care franchise to sign up with, they can’t all be that bad can they? As soon as this company had my money their interest in me faded and the support was never really there. My reasons for buying the franchise was that I was buying a brand name. I had hoped I would get support with running the business from someone who had a proven marketing model to follow and access to the fellow franchises if anything came up I did not know how to deal with. I then found out the brand name meant nothing to potential new customers. I got very little support with actually running the business side of things. The marketing model failed big time, and the so called experts running the other franchises were simply salesmen with no turf experience between them. If I sound bitter about the whole thing then yes I probably am. One of the hardest decisions I had to make was to stop working with them. I was out $38,000 and not making any money but sometimes you have to walk away and hope you come back a stronger person. 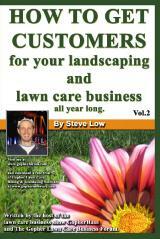 For those considering buying into a lawn care franchise, I would say don’t do it. What can they give you that you cannot get from somewhere else for a fraction of the price? Just take a look at the advice and help you get on the Gopher Forum. You can post a picture here of some turf that you are not sure how to deal with and all these professionals will gladly give you their expert opinion on it and it costs nothing. By all means take some time to investigate a franchise if that’s what interests you but just don’t listen to the employees of that franchise, look for information from sources not linked to them. Don’t get taken in by the franchise publicity machine like I did, it is there to part you with your money and nothing else. 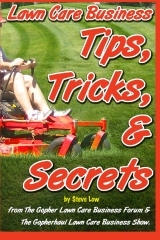 As I have said I paid $38,000 for the lawn care franchise and I wish I had that budget now to spend on starting up again as I could spend it more wisely on the things I actually need and when I need them. When I started, I was sent 1 ton of winter fertilizer even though there was 6 months to go before the winter started. The money I paid here could have been spent on something more useful and also freed up some storage space for me. 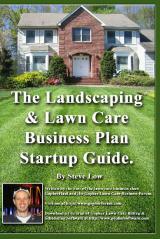 This entry was posted on Wednesday, February 19th, 2014 at 3:47 am	and is filed under Business Failure, Direct Mail, Franchise, Lawn Care Business, Lawn Care Customers, Lawn Care Marketing, Marketing, Start up. You can follow any responses to this entry through the RSS 2.0 feed. You can leave a response, or trackback from your own site.